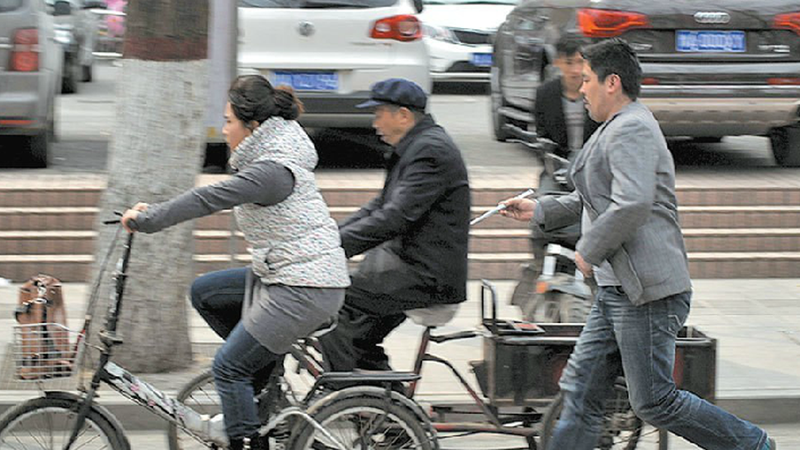 And if that wasn't enough, the man used chopsticks to pickpocket from a woman riding a bicycle. And she apparently didn't even notice and continued pedaling! Photos of the "suit man", surnamed Wang, pulling off his amazing petty crime in downtown Zhengzhou recently appeared online in China. Wang would later say he began committing crimes to support his young daughter. According to ShanghaiIst, the suit man finally called a journalist after seeing his face splashed all over the news and turned himself on April 9 in at a local police station. If there's not a loophole making it legal to picketpocket from cyclists while using chopsticks, there damn well should be.